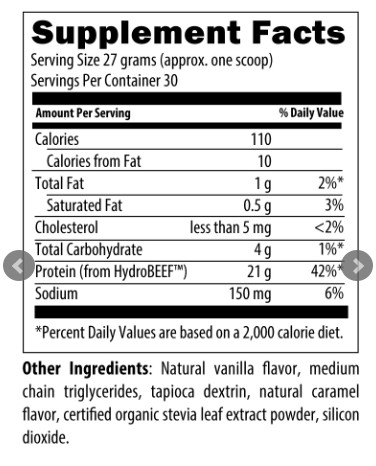 Bennu Paleo Protein offers 21 whopping grams of protein sourced from grass-fed, pasture-raised beef. It offers a delicious, frothy smoothie with a natural vanilla flavor. 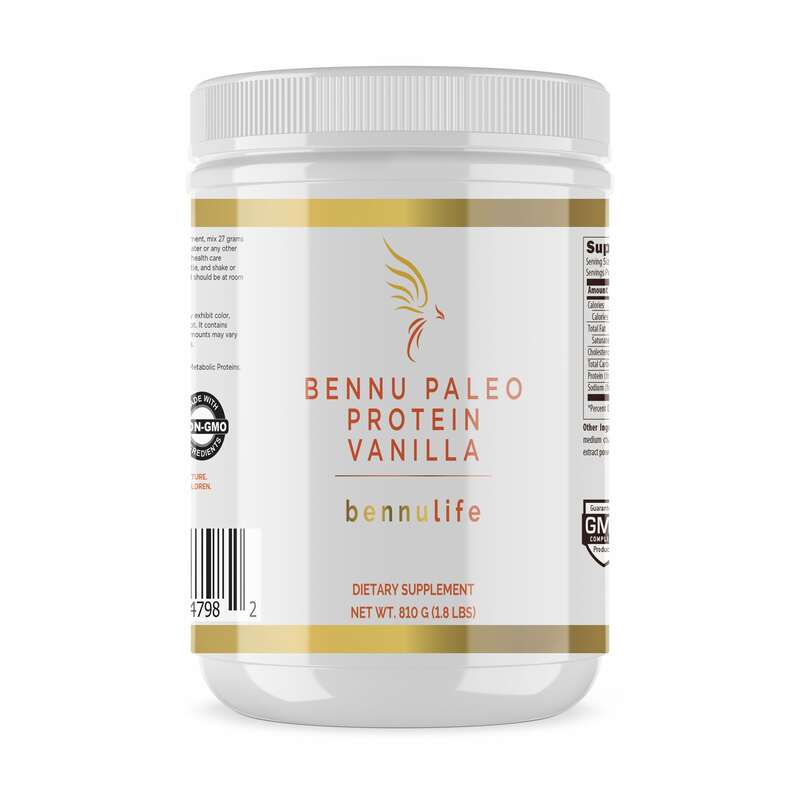 Bennu Paleo Protein is a delicious, dairy and gluten-free protein powder, yielding 21 g of protein per serving. 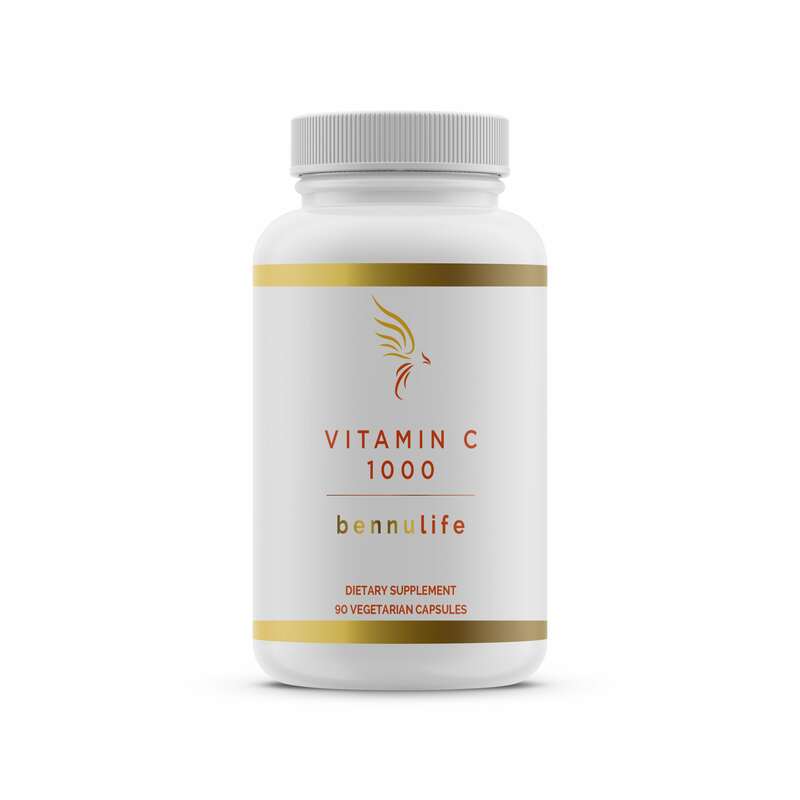 The protein is sourced from a highly concentrated, bone broth protein isolate, produced through a process that allows the protein to be hydrolyzed into more peptides, resulting in easier absorption and assimilation. This product contains beef from animals raised in Sweden without hormones or antibiotics, and is free of any GMO grains, grasses, and/or ensilage. This product offers all the benefits of bone broth, without all the mess, hours and hassle of making homemade broth. This unique protein source may help bone, hair and skin health. Suggested Use: Blend one scoop of powder with the liquid of your choice. Excellent mixed with fruit and/or greens. It is best mixed in a blender rather than in a shaker bottle. Source from pure grass-fed, pasture-raised beef. Made with non-GMO ingredients. Free of gluten, dairy, corn and artificial sweeteners. AMAZING!! I mix this with frozen blueberries, cherries, spinach and a little whole milk kefir every morning! 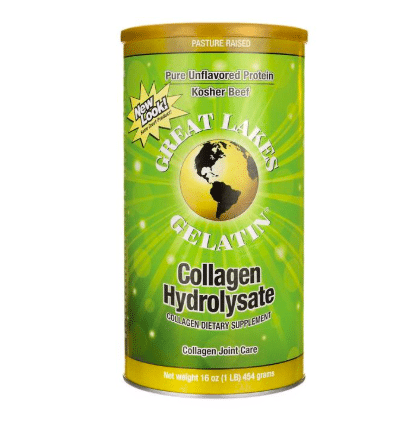 Most days I also add a big scoop of collagen powder. Delicious and it keeps me full until lunch! 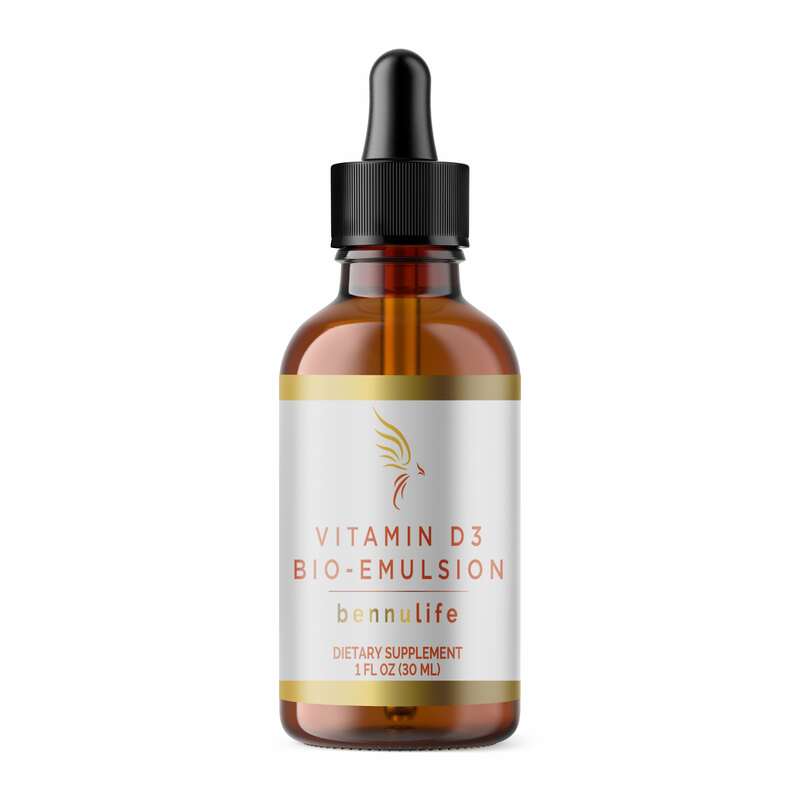 I tried the BennuLife vanilla protein for my post workout smoothie this morning & it was by far the best I have ever had!!!! Thick, velvety & packed full of nutrients & grass fed protein. I used frozen strawberries & raspberries, tossed in some spinach & kale, added 1 heaping scoop of protein & poured in 10 oz of unsweetened, vanilla almond milk. I highly recommend that you try it and jump start your morning in a healthy, delicious way!